Amazingly delicious!! 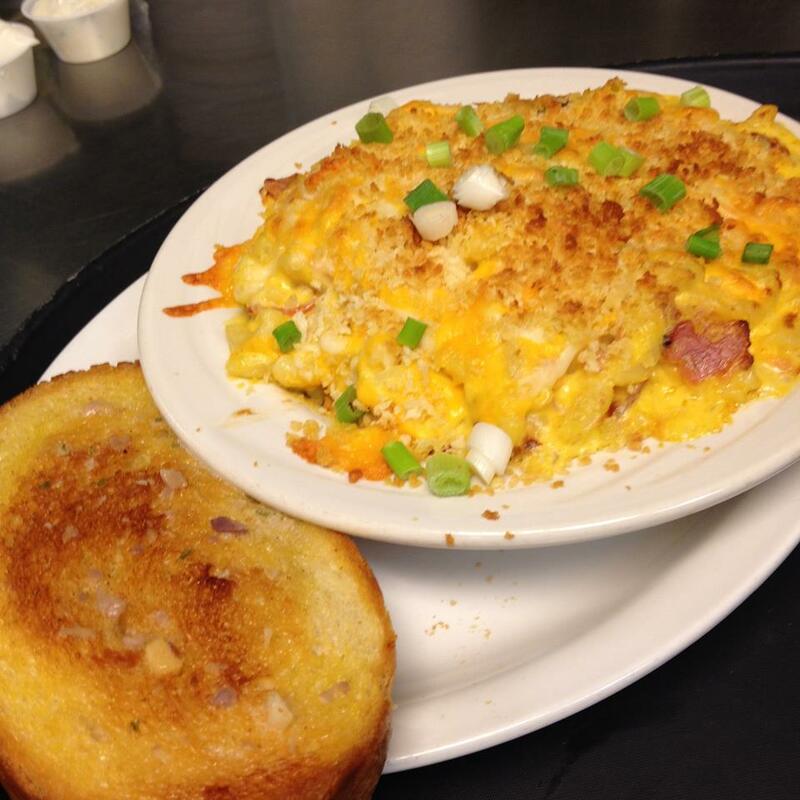 Very hearty portion of freshly made to order Mac and Cheese. 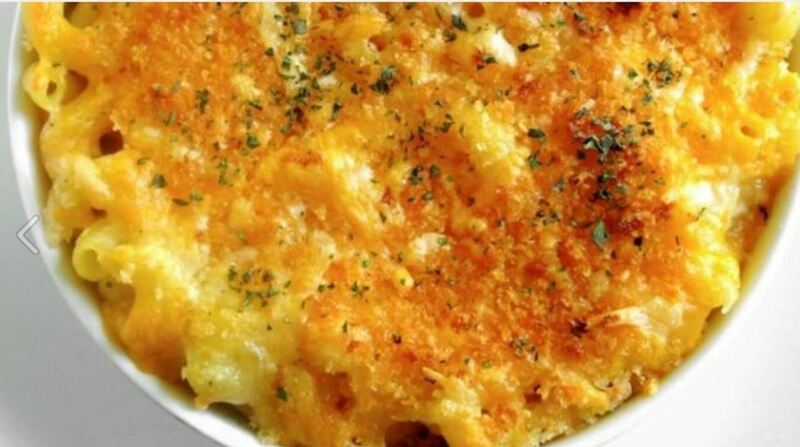 Made with Cheddar cheese, bacon and ham then topped with bread crumbs and baked.